We are a respected and very serious cleaning company that has a lot of experience, when dealing with cleaning procedures. We are located in the London area and we perform a great diversity of cleaning services in an efficient way. One very useful service, that we offer to your attention, is the carpet cleaning. It is suitable for extensive cleaning of your favourite carpets and, of course, for their refreshment. Our carpet technicians are more than convinced that they can handle with any procedure, without difficulty. No one wants to be a possessor of a dirty and old carpet that is situated in the living premises. For that purpose you can now solve quickly this problem and turn to our professional services. We guarantee to pay attention to important details and to treat the carpets in a careful manner. What is more, we work with every type and size of carpet, no matter of their number. 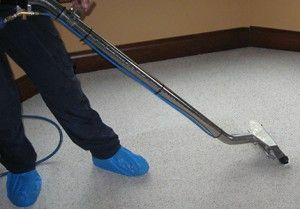 These are some of the major tasks included in our carpet cleaning. We promise to be delicate and to apply special procedures on the carpets, so that they won’t be harmed in any way. CleanersCricklewood encourage you to believe in our comprehensive carpet technicians that are punctual at their work and to forget all the prejudices about the cleaning companies. To clean effectively your carpets we use special methods, among which are the dry and steam cleaning. They are performed in a professional way, according to all the standards and they help for the immaculate and fresh appearance of the carpets. Don’t worry we have low prices. We have flexible working schedules so you can make an arrangement with our polite cleaners, at time convenient for you. The customers that still hesitate about the conditions around the carpet cleaning can use the call centres, where our kind staff will assist you with the needed information.